Alternate history is a delicious dish when prepared correctly. Mixing both real world facts with fantastical what-ifs, the stories fuse the two into an amazing concoction, which satisfies a reader’s need to be entertained as well their desire to be provoked to thought. That is if the author is up to the challenge of juggling seemingly paradoxical themes. A tricky task for the most gifted writers. But have no fear, Mr. Smale is one of those gifted with the innate ability to write great alternate history. Picking up immediately after the cataclysmic clash of the Cahokia and Iroguia, Eagle in Exile finds Praetor Gaius Marcellius once again shattered emotionally and desperately dealing with guilty over the consequences of his decisions. For while his intervention into the life of his adopted city has helped them cast back the invaders, it is also a leading cause of the horrible destruction and the lives lost or ruined. Roman weapons and warfare having turned the tribal squabbles of the two peoples into a total war, something which was without precedent in Nova Hesperia (the Roman name for North America) before the arrival of his Legion. As the dust settles, the fires go out, and the cries of the dying subside, Gaius finds himself back to square one with the Cahokia. No longer an honored adviser to the chief, he is once again a mistrusted outsider, one who is barred from any meaningful contribution to the people he has come to admire and love. All his dreams of preparing them and their neighboring tribes for the inevitable arrival of more Roman Legions slipping away, even as his suspicion that the Cahokia and their neighboring tribes are not prepared to face down Imperial Roman become manifest. Tirelessly working to regain the trust he has lost in Cahokia, our lone Roman soon hears rumors of Roma’s presence on the continent. The possibility spurring him to leave his adopted home for a dangerous journey down the mighty river to the sea. His goal to spread the word of the coming of Rome and to forge an alliance between these strange but amazing people. For only by uniting can they ever hope to have a chance (no matter how slight) to resist the conquering armies which are even now coming for them. 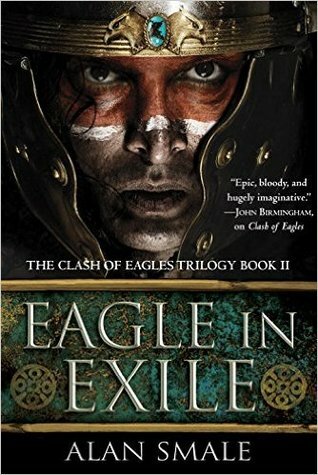 As with Clash of Eagles, Eagle in Exile is an outstanding example of alternate history done right; the worldbuilding by Mr. Samle believable and detailed, realistic yet fantastical, and always entertaining. Each Native American tribe bursting off the pages, revealing their distinct greatness before stepping aside to allow another the spotlight. The native cultures and that of Gaius’ Rome presented in a respectful way, which highlights the differences between them yet never cast any aspersions of backwardness on either. As for the characters and their personal growth, they do not take a back seat to the alternate history goodies. Instead, Gaius’ culture shock and journey of self discovery in a strange, exotic land continues; his understandable desire to find a peaceful resolution to the tribes conflicts and build a fragile alliance against Rome always in conflict with his deep loyalty to the empire he served for so long and so faithfully. Helping Gaius along his path are a colorful cast of characters. Enopay, Tahtay, and Kimmimela developing into strong comrades, whose personalities, strengths and weaknesses are exposed and explored in the ongoing narrative. Each of them playing important roles in the tale as the group travels up and down the Mississippi River, encountering groups as diverse as the trading tribes of the swamps of present day Louisiana and the fierce, buffalo hunting Sioux of the Great Plains. Where the novel shines, however, is the ending. Mr. Smale weaving all the loose plot lines into a surprising conclusion, one which changes the story from an epic clash of cultures into an even more powerful and emotional tale of a culture caught between two world powers. This surprise ending leaving any fan of alternate history salivating for the next installment of this series. If there is any criticism to be leveled at Eagle in Exile, it would be Gaius’s near instantaneous respect and love for the Cahokia people and the other Nova Hesperian inhabitants. Nothing inherently unrealistic about him coming to appreciate their obvious strengths and to desire to fit in among his jailers, but his continued transformation from dedicated Roman soldier to would be forger of an anti-Roman alliance seemed difficult to digest considering Gauis’ age and his length of service to Rome. When you add in the fact he is a stranger who arrived in Cahokia determined to crush and enslave the inhabitants, it seems hard to believe he would be accepted and trusted by these different tribes, especially trusted enough to convince them to face Roman legions. Perhaps that is a small quibble on my part, and it might be nothing more than me forcing my modern sensibilities of mistrust onto a past culture. Eagle in Exile is an alternate history lover’s dream. Inventive, thought-provoking, respectful, and historically accurate (within reason), it crafts a story which carries a cast of character across the heartland of a middle America which never was, surveying a land which could have been. All the while, Gauis, Enopay, Tahtay, and the other stars become fully formed individuals whose lives matter to you the reader. And when the epic conclusion and its unexpected twist is unveiled, you most certainly will be glad you gave this novel a try. Del Rey Publishing and Netgalley provided this book to me for free in return for an honest review. The review above was not paid for or influenced in any way by any person, entity or organization, but is my own personal opinions. 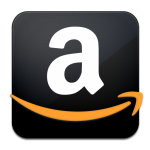 This entry was posted in 4 Stars, Alternative History and tagged Alan Smale, alternate history North America, best alternate history books, best alternate history series, Clash of Eagles, Eagle in Exile, The Clash of Eagles trilogy. Bookmark the permalink. The first volume in this series caught my eye in another review, and I added it to my ever-growing “next” list: your review of this one convinced me I must get there soon, because it sounds fascinating. Thanks for sharing! I really need to read the first one in this series sometime. Somehow I skipped over it last year.